Sony this morning announced their latest entry into the tablet market with a super-slim device called the Xperia Z4 Tablet, as well as an update to the mid-range Xperia M smartphone series, the Xperia M4. The former claims to be the world’s slimmest 10-inch tablet, packs a 2K-resolution display, and has the Snapdragon 810 (the chip in many of this year’s flagship smartphones) built inside. The Xperia M4 is a “no compromises” smartphone that packs waterproofing with some decent spec bumps. Sony says that its new tablet has “incredibly fast performance” and battery life that will give users as much as 17 hours of video playback. As mentioned, the device has a 2K resolution screen and packs a 64-bit Qualcomm Snapdragon 810 inside to push those pixels. The device sports an 8-megapixel main camera and a wide-angle 5.1-megapixel front camera. The tablet is IP68 waterproof as well. It does all of these things while still being what Sony claims is the world’s slimmest 10-inch tablet, coming in at just 6.1mm. It will be offered in both WiFi and LTE variants, and will be launching in June 2015. 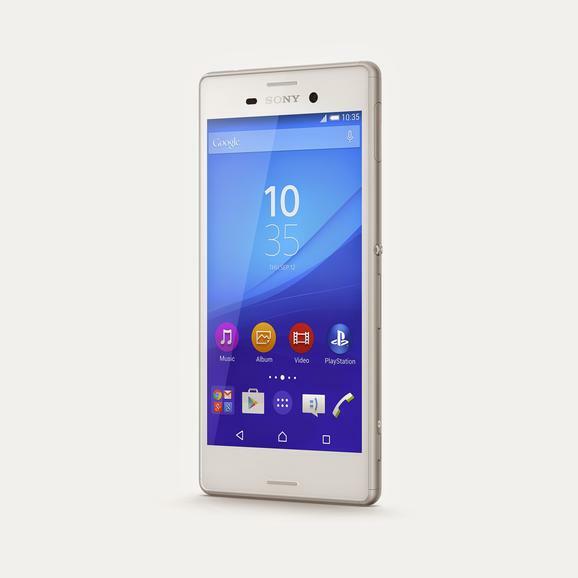 Sony also announced the successor to last year’s Xperia M2 smartphone: the Xperia M4. This device isn’t a radical departure from the previous generation, but it is now waterproof (as many of Sony’s other devices are, and unlike the last model). This phone also packs some modest specification improvements, including the 64-bit Qualcomm 615 processor, a 2400mAh battery, and 5-inch 1280 x 720 resolution display. All this comes in a package that’s going to cost around $300 and ship in the spring.